For 2009, all Mazda CX7 models get an MP3-capable audio system with an auxiliary input jack. Base-level Sport models add a leather steering-wheel and shift knob. The premium Grand Touring now comes with an auto-dimming rearview mirror with Homelink and turn signals in the door mirrors. 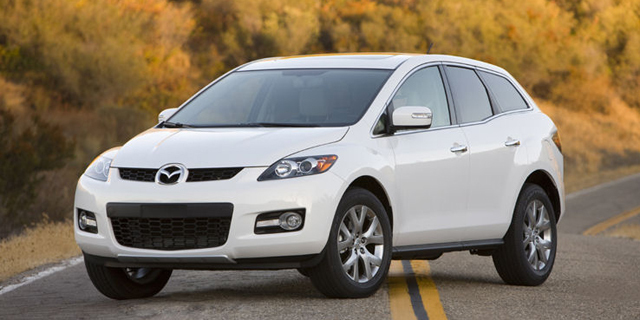 Find the used Mazda CX7 of your choice from a dealer in your area. Search our used car listings now.